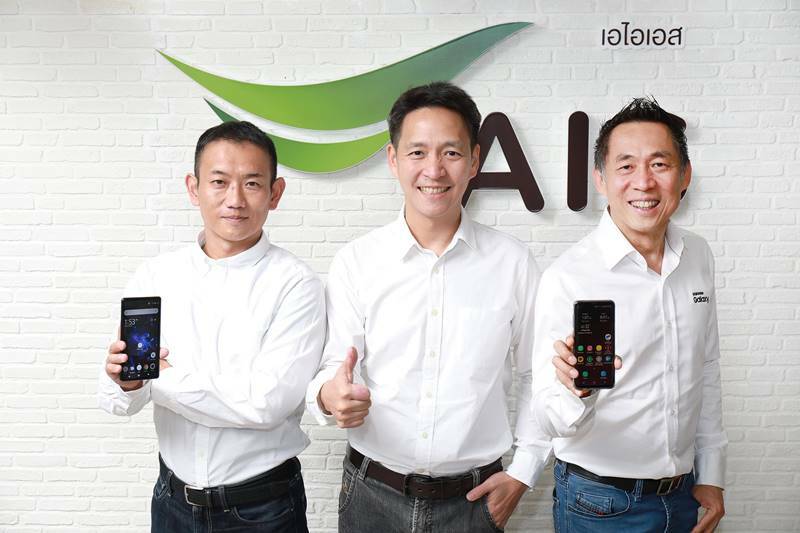 (21 June 2018) AIS further affirms its leadership as an innovative network provider in Thailand. After officially world first launching the 4.5G network, which supports MIMO 4×4 technology with CA, 256 QAM, and LAA in 2016. Then in 2017, AIS announced its success in developing the world’s first 4G Massive MIMO 32T 32R technology in the FDD system, being ready to embark on the 5G platform. 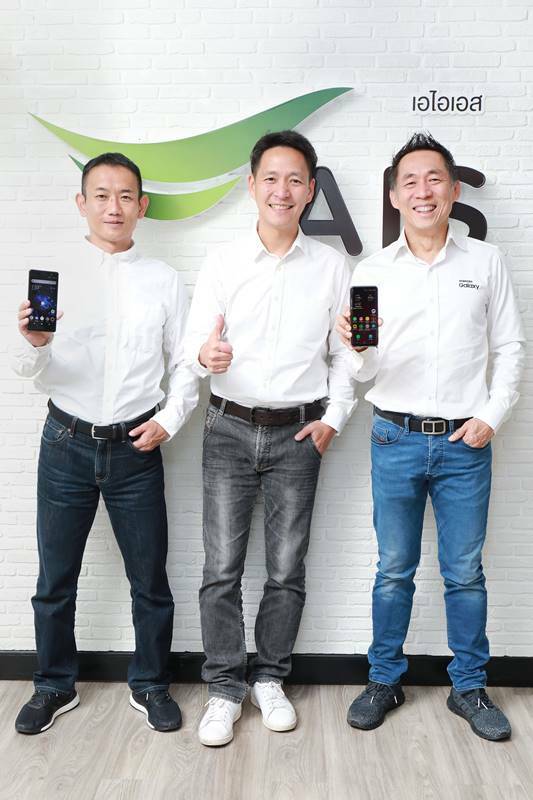 Today, AIS has succeeded in developing a smartphone that supports LAA on the 4.5G network in collaboration with world-class device manufacturers Samsung and Sony. 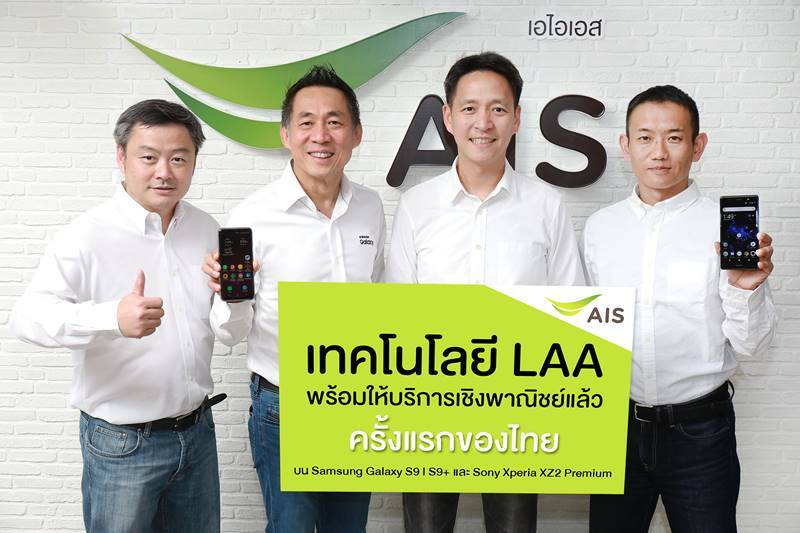 A first for Thailand, the LAA-supporting smartphones include Samsung Galaxy S9, Samsung Galaxy S9+, and Sony Xperia XZ2 Premium. Data on these LAA smartphones is two times faster and downloads 30 percent faster than on the 4G network. Serviceable areas for the 4.5G network includes Bangkok, key cities, and areas with high data usage such as Siam Center and The Mall Korat. Furthermore, AIS will start to gradually upgrade its firmware through FOTA, or Firmware over the Air, onto Samsung Galaxy S9 and Samsung Galaxy S9+ devices within July 2018. Users will get an on-screen notification to update their software; after the update, they will be able to use the MIMO 4×4 technology with CA, 256 QAM, and LAA in serviceable areas. Settings do not need to be adjusted. Sony Xperia XZ2 Premium will soon be in stores. The LTE-U/LAA (LTE-Unlicensed / License Assisted Access) is group of authorized wave frequencies that is aligned with the public frequency. This is another technology that AIS is developing to enable its 4.5G network to send data two times faster than the 4G network. A more easily comprehensible picture would be of two roads, combined to make one big road that is able to support more cars running at faster speeds. Speed, however, also depends on other factors such as number of users in the area and distance from the device to signal antennas.